Security forces launched a cordon-and-search operation in Gujarbasti forest area of Tral based on information about the presence of militants there. 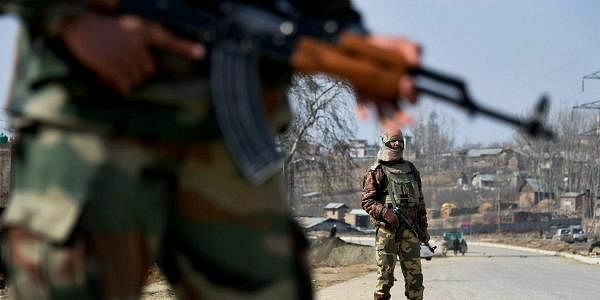 SRINAGAR: A militant was killed in an encounter with security forces in forest area of Tral in Pulwama district of Jammu and Kashmir today, police said. Security forces launched a cordon-and-search operation in Gujarbasti forest area of Tral based on information about the presence of militants there, a police official said. During the search operation, gunshots were heard, prompting the security forces to intensify the combing operation, he said. A gunbattle broke out as the security forces closed in on the position of the militants, the official said. One militant has been killed so far, the official said, adding that the identity of the militant was yet to be ascertained. The operation was going on till reports last came in.